On Wednesday, 17 January, thirty year 9 and 10 students were introduced into the world of malaria research with Kathryn Tiedje, Samantha Deed and Charles Narh. Given a card with a patient description, students gathered clues by peering down a microscope and interpreting a PCR and Rapid Diagnostic Test result to diagnose whether their patient had malaria or not and whether to proceed with treatment. In this way, they received some insight into the malaria research being conducted by the Day group with malaria affected populations in Ghana. The Conoco Philips ‘Science Experience’ is a nationwide STEM outreach program for year 9 and 10 students. 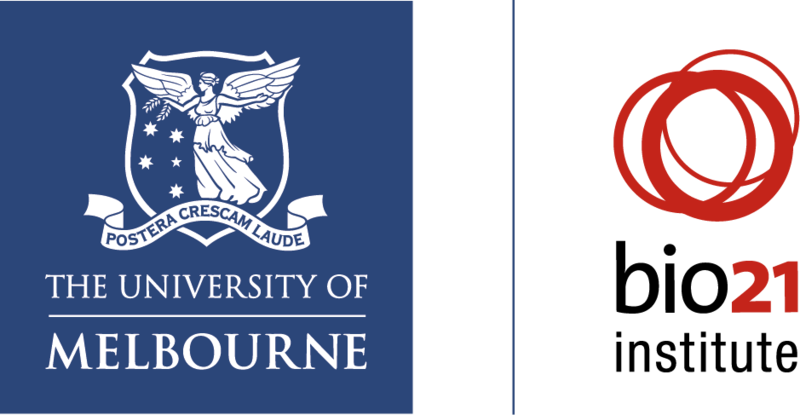 The Science Experience hosted at The University of Melbourne Parkville campus was a three day summer school designed to provide students who have an interest in science with an opportunity to engage in a wide range of activities under the guidance of scientists who love their work. Professor Frances Separovic new Deputy Director of the Bio21 Institute.